BridgeWell Capital is Winston-Salem’s #1 hard money lender for real estate investments. We work with investors throughout the great state of North Carolina, who need a fast, hassle-free source of capital to take advantage of investment opportunities as they become available. BridgeWell Capital professionals often finance investments in 7 days or less; no matter your current credit, financial, or employment situation. Whether you’re in the Triad or the Triangle, no one tries harder than BridgeWell Capital. If your investment makes sense and promises a solid profit margin, you can be approved for hard money financing. How is BridgeWell Capital Unique from Other Hard Money Lenders in North Carolina? 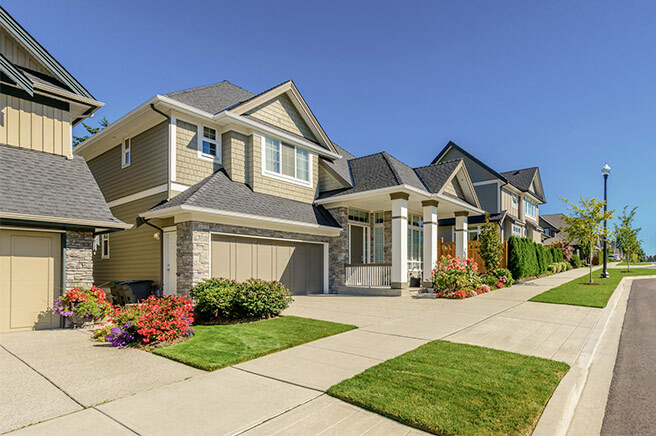 Competitive Terms:Our hard money loan programs range from 6.95% to 12.95% APR, and we lend up to 80% LTV, with loan terms ranging from 1 to 30 years. Consistent, Responsive and Reliable Service:Our clients love our service. We walk you through the entire process so you know exactly what to expect. If you have questions, your personal account executive is always available and ready to assist you. In fact, a strong percentage of our business comes from repeat customers. Simply put, once you’ve done business with BridgeWell Capital, you won’t want to go anywhere else for your real estate investment hard money loans. See our testimonials. Support & Coaching:We strive to be more than just a source of private money for real estate investments. Our hard money loans are structured around win-win business relationships with our borrowers. We want you to be successful in your investments, so we provide you with all the support and real estate industry best practices you need to make smart, confident investment decisions. From rehab to rental, BridgeWell’s got you covered in the Dash. Licensed Mortgage Lender:Unlike other hard money lenders in North Carolina, BridgeWell Capital is a fully-licensed and insured mortgage lender that’s A+ rated by the Better Business Bureau. While home sales in the Triad lag behind those in the Triangle, the markets in Greensboro, High Point and Winston-Salem offer plenty of opportunity for the real estate investor. According to a recent article in the Triad Business Journal, “The Triad’s housing market continues its post-recession rebound and this year (2015) is so far enjoying its best year in nearly seven years.” However, keeping up with the market and staying up-to-date with the current trends can lead to, not only smarter investment decisions, but ultimately, a more successful portfolio of investment properties. At BridgeWell Capital, we approve our hard money loans based on your ability to be successful, and the local market trends and indicators are some of the factors we encourage our borrowers to use to make smart investment decisions. For current trends in Winston Salem’s real estate investment market can be found at Triad MLS, Zillow.com or Trulia.com. Triad Real Estate Investors Association: Serving the Greensboro, High Point, and Winston-Salem markets, Traid REIA meets for monthly meetings at the Greensboro Airport Marriott. There is a $25 attendance fee for non-members. However, they also hold weekly lunch meetings on Tuesdays in Greensboro, and Thursdays in Winston Salem and these are free and open to the public. Triangle Real Estate Investors Association: Raleigh Durham’s largest real estate investor association, TREIA holds their main meeting the 3rd Tuesday of Every Month at 6pm at the North Raleigh Hilton, unless otherwise noted. Monthly meetings are free to members and first time guests. For returning guests there is a $15 attendance fee. Multiple social events, meetings and workshops are held throughout the month. Find the REIA that best fits your needs. The bottom line is, REIAs are a great place for real estate investors to grow their business and we highly encourage getting involved. A well built out knowledge base and support group can only help when it comes to your next real estate investment project. BridgeWell Capital is Winston-Salem’s #1 hard money lender for real estate investment in North Carolina. Whether it’s rehab loans or investment for rental properties, BridgeWell Capital is the most trusted name in private money lending. If you need help financing your next commercial or residential real estate project contact us today! For more information about our hard money loans in Winston-Salem, NC call us at 704-464-3000, or fill out our request funding form online and we will contact you within one (1) business day.